Yes, it’s multiplying, not boosting. The landing page of your website is the platform which makes a consumer decides how to react? If it’s well optimized, technically sound, and loaded with appropriate call-to-action tabs, it surely brings good sales. 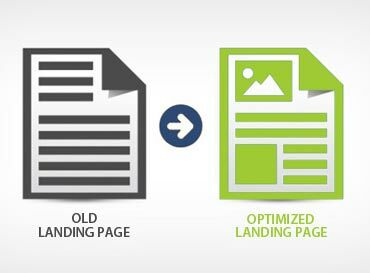 Why opt for Landing Page Design & Optimization Services of IS Global Web? We cater our clients with sales-driven landing page design & optimization (LPO) services. Everything that needs to make your landing page engaging, whether it’s about creating/designing new landing pages, constructing multivariate tests, and even keeping the track of all the statistics, we manage this all. Yes, all! We’ve developed a client-centric testing system that, by observing the needs of different types of clients could easily be tailored. At IS Global Web, we pamper your website or project from beginning to end, till it reaches its goal. We employ a technologically healthy even healthiest team, which works closely on each portion of conversion optimization or landing page optimization from the beginning to the end. We’re not just developers, SEO’s and designers, but also the business analysts, creative writers, lead sellers and marketing directors. Every person in our team has been working on every aspect of conversion optimization from the beginning of time (or at least since it was invented). Share your ideas with us and receive some mind-bubbling outputs that would surely shoot your mind. Contact us now to create a successful online business platform. Landing Page Design Services in India: If you believe in employing best, the best is here! You will get all creative, technically strong, and sharp minded folks under one room.